As you may have noticed, the book was announced without cover art. Some of you went ahead and preordered anyway, based on your confidence in Word Horde, or maybe even in my work, and I thank you for that. 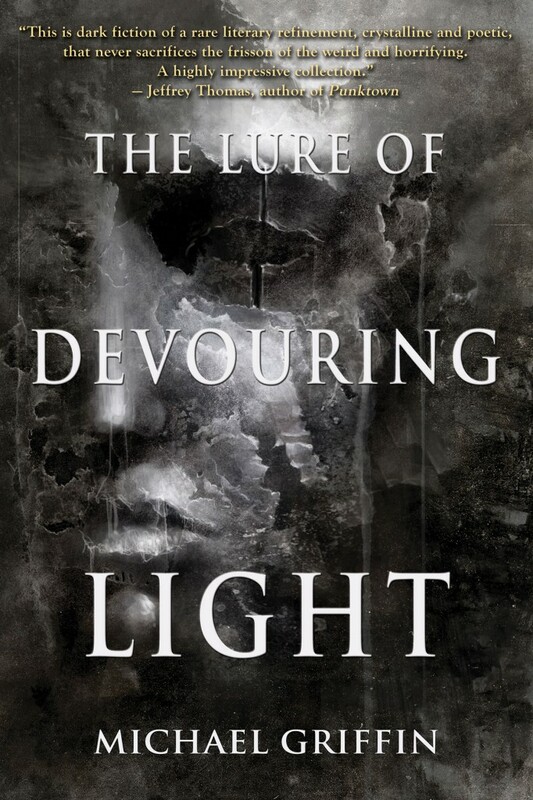 I’ll have more to say about the idea of book covers, and the process of finding the right image, but for now… here’s the cover of The Lure of Devouring Light. The art is by Jarek Kubicki and layout by Scott R. Jones, so they deserve the credit for this striking cover. I also really appreciate Ross E. Lockhart taking my input throughout the process. Ross is the reason Word Horde books have all looked so great, even though they’re all very different in style. Word Horde’s official cover reveal post is HERE. The updated image may not show up on the order page until later today, but you can preorder The Lure of Devouring Light HERE.